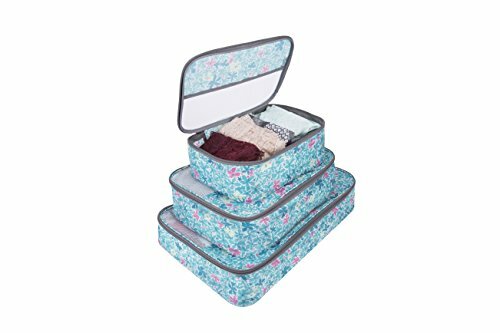 The set of 3 packing cubes keep you organized and your clothes separate. Use the cubes to pack like things together, or pack different outfits in different cubes to simplify packing and unpacking. The cubes go from suitcase to dresser and your clothes stay clean. The mesh top panel provides visibility and breathability. Piped edges provide structure to each cube. Made from lightweight, water and stain resistant ripstop. The cubes nest for compact storage until your next trip.